Usually, most remote workers actually want to find ways to be engaged and enjoy their time spent on your team—good news for you if you’re an HR professional or business leader. It’s fair to say that a lot of employees, however, don’t want another email. Which could spell bad news for you if your main employee communication strategy is email. Keeping your remote employees happy and motivated doesn’t have to be done primarily through email, though. Getting creative, like using text messaging for business, can help you engage your employees without clogging their inbox. Emails can often get lost in the shuffle, which is a challenge when managing remote workers who you don’t see regularly in the office. Here are other options for engaging with your employees. It can be really frustrating as an HR professional or small business leader to hear your employees say something like, “you never told us!” when you know you sent an email. On the other hand, you can hardly blame people for missing emails in their inbox. We’re so inundated with email these days that it can be difficult to stay on top of everything you need to read. A strategy that works well for many team leaders is to send business text messages instead of emails. You can schedule automated text messages to remind employees to sign up for trainings, enroll in benefits, to wish them a happy birthday, or to see how they’re doing. You can even text your remote employees links and track to see if they’ve opened those links. Send links to forms, sign-ups and other important information that you want to convey. When you’re sending information using a text message, you want to make sure you’re as concise as possible. Of course, it may take you some time to convey all the information you need to, but if you find you’re getting into the three paragraph range, consider ways you can condense the information. Also, make sure you use a platform that allows two-way messaging so you can reply to any questions your employees might directly text you back. In SlickText, you’ll need to make sure your inboxing feature is set to on so you can do this. Implement a way your remote employees can meet up and chat amongst themselves, whether that’s ultimately through video or a chat window. You don’t run into each other in the lunchroom as remote employees, so if you want to foster connectivity between team members you’ll have to be intentional about it. For Slack users, there’s a coffee roulette widget called Donut that’ll randomly pair your members who don’t know each other regularly—every one to four weeks (you choose the pace). Donut will also remind your employees throughout the week that they need to meet! A creative way to chat with your employees is through challenges. Here are two ideas to help you create challenges for your team that get them out of their inbox and interacting with each other. Play a game of trivia. Take advantage of SMS messaging for business to set up a quiz that asks your employees trivia questions about the company or other employees. This gets people engaged with each other and with your history and values as a company. You can set up the quiz as a survey in SlickText so it’s sent as a mass text message. When the quiz is over you can reveal what percentage of people guessed the correct answer. Office small talk is really helpful for business leaders because it’s during that time people often feel comfortable bringing up issues or suggesting ideas for improvement. These informal interactions build culture, and when you’re remote you don’t have them. That’s why it’s a good idea to find ways to regularly survey and poll remote workers. You can do it anonymously if your employees are afraid of their comments negatively impacting their job. Here are some tools you could use. Officevibe has polls and open-ended questions. The widget integrates with Slack. Send surveys via text message. 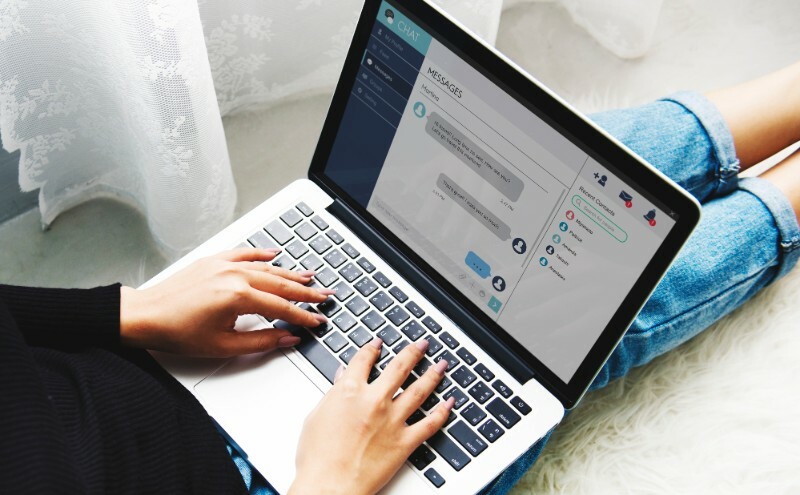 Setting up an automated text survey that asks your employees for a numeric response, multiple choice or open-ended questions is an efficient way to get their feedback. You can announce a prize such as a gift card to an online retailer as an incentive to get employees to respond and finish the survey. This video can show you how to set up a text to vote survey to stay in touch with your remote employees. You can also find step-by-step instructions for setting up the text-to-win component. Some of the ideas and tools on this list might be new to you. But getting outside your comfort zone and experimenting with unique approaches to connectivity could help you create a culture that attracts new employees and helps your current ones want to stick around.